Derek’s Towing & Recovery is a 24 hour hour towing & recovery company serving Clarksburg, Gaithersburg, Germantown, Damascus & Rockville MD. We have a local tow truck near me waiting to assist you. 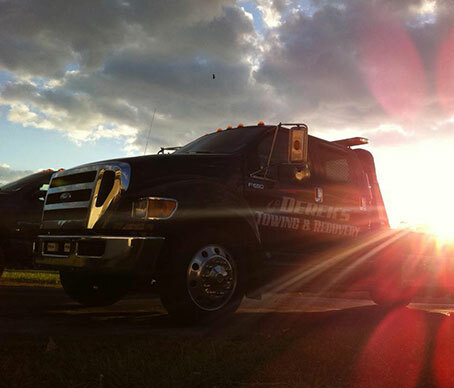 Derek’s Towing & Recovery is a 24 hour hour towing & recovery company serving Montgomery County MD . We are ready to go whenever you need us whether you require assistance changing a flat tire, towing your car to the shop, or a piece of equipment hauled from one job site to another, we can help you. We pride ourselves in providing you with the best towing experience possible. With a large fleet of wreckers, service trucks, and heavy-duty hauling equipment, we are ready and able to take on any project regardless of its size or scope.